Let’s talk about few more features of the service. Career objective : This section will explain to the employer about your career aspirations and goal. As such, writing a proper career objective means meeting the target of pleasing the employer halfway through it. Professional summary : The summary is a snapshot of your entire career and therefore it should reflect your entire career in very few sentences. Often, employers prefer to read summary and then sift through the profile so that they can take a call on shortlisting your profile or not. The summary part will be summarized in a professional manner for better understanding of the employer. Making the profile crisp: Employers prefer short resumes since they don’t spend more than 10 – 15 mins on your profile to check whether your profile is suitable to their requirement or not. As such, within this short duration, they should get all the required information so that they can assess your suitability to their requirement. This step is achieved with the help of the organizations that provide best resume writing services. Scannable: Employers sift through the resume rather than reading line by line, so that they can read the important information and discard the junk. The resume will be prepared in such a way that it is scannable and easy to read. Highlighting your key skills and areas of expertise: You might be having several skills and expertise areas. However, unless and until they are highlighted properly, they will not get noticed by the employers. This is exactly where the resume writing service will come into the picture which will not only highlight your skills but also will make the employers notice them. Grammar check : If you’re profile is full of grammar mistakes , then chances are there that employers will not have a positive impression about you. Your profile will be be prepared without any mistakes or errors. 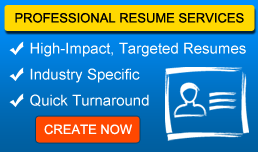 These are only few features of resume writing services and many more come with the service. Go for one and experience their best resume writing services for abroad jobs !! !